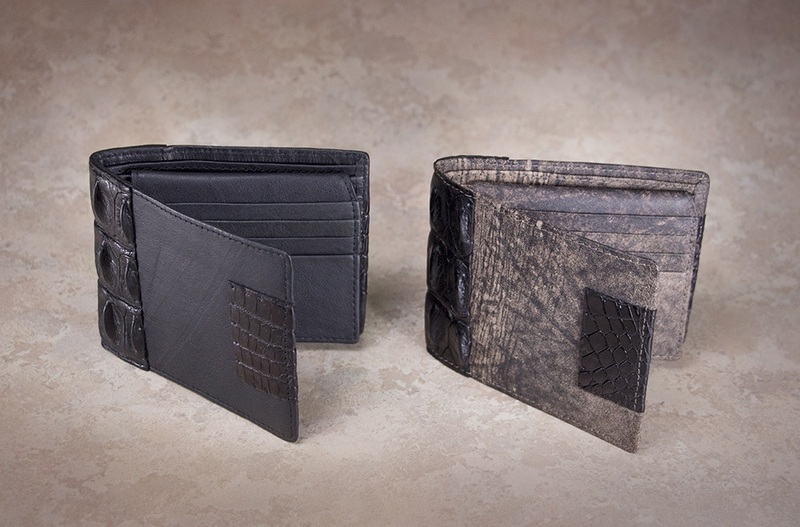 Our range of combination wallets is conventional yet modern. 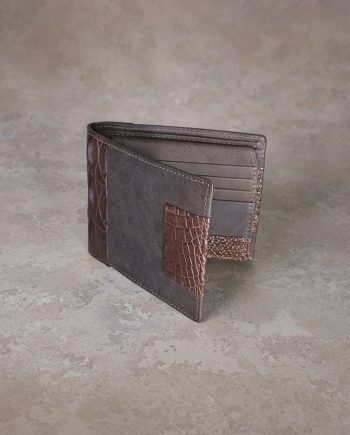 We have now combined kangaroo or calf leather with the Australian Saltwater Crocodile skin. 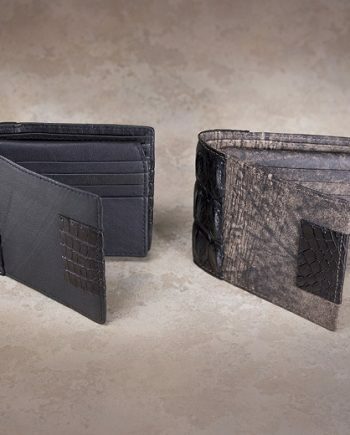 The crocodile skin is durable even when shaved thinly to ensure a slim-line look and feel and when used with our custom tanned kangaroo or calf leather the bulkiness of other skin or leather wallets is avoided. Select from our innovative range of wallets that are distinctive yet highly functional and robust.